<p /> Get your daily serving of <a href="http://www.ecouterre.com/the-secret-to-a-healthier-tan-eat-more-fruits-and-veggies-says-study/">fruit and vegetables</a> with <a href="http://margaretdorfman.com/">Margaret Dorfman's</a> range of edible jewelry. 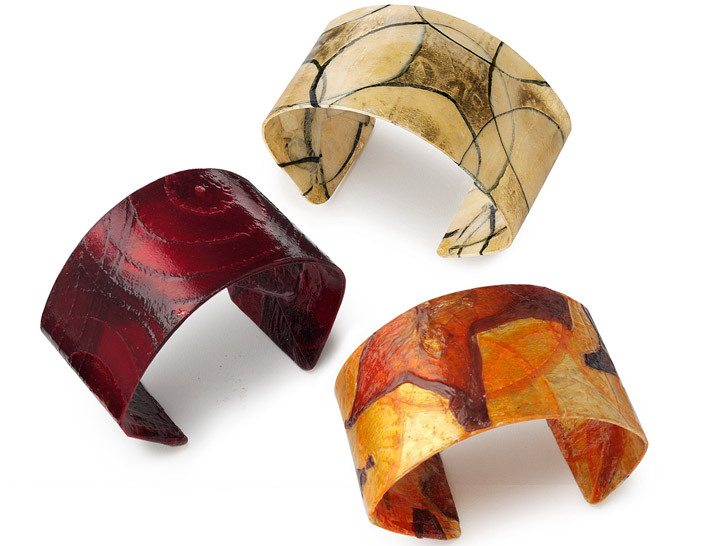 Made from <a href="https://inhabitat.com/nyc/fresh-bodegas-initiative-provides-healthy-local-produce-food-for-nycs-bodegas/">fresh produce</a>, which the California artist cures, presses, ages, and dries into translucent parchment, the cuffs, necklaces, and earrings have a warm enamel-like glow evocative of tinted vellum. To preserve their bright jewel hues, Dorfman fuses the sheets to tarnish-proof copper before glazing them with a nontoxic lacquer finish. 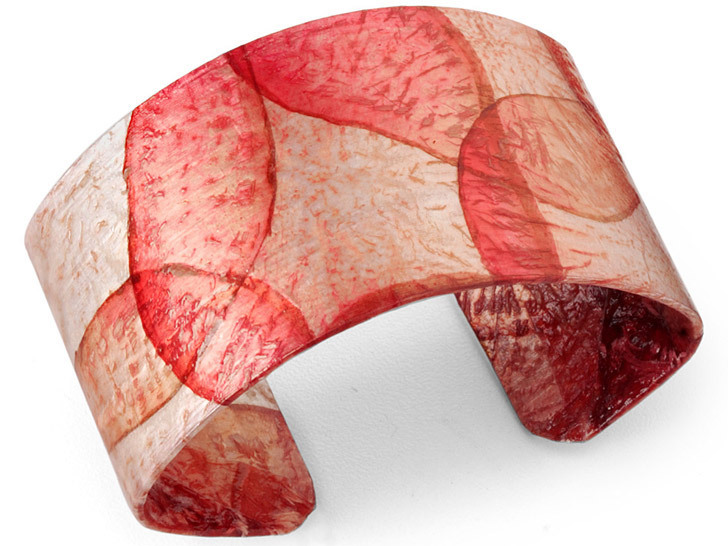 Above, a cuff made from slices of <a href="http://www.uncommongoods.com/product/watermelon-radish-parchment-cuff">watermelon and radish</a> ($40). <p /> Clockwise from left, bracelets made from <a href="http://www.uncommongoods.com/product/vegetable-parchment-earrings">beet, zucchini, and starfruit</a> ($40 each). 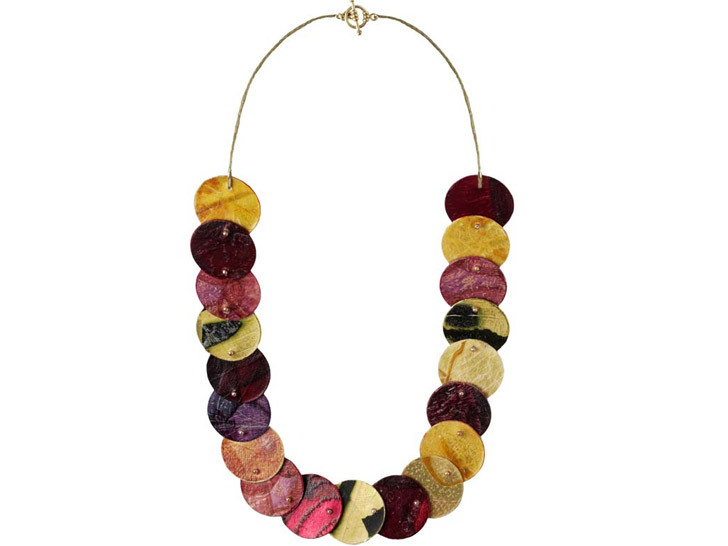 <p /> Necklace derived from <a href="http://www.uncommongoods.com/product/fruit-vegetable-parchment-necklace">mixed fruits</a> ($99). 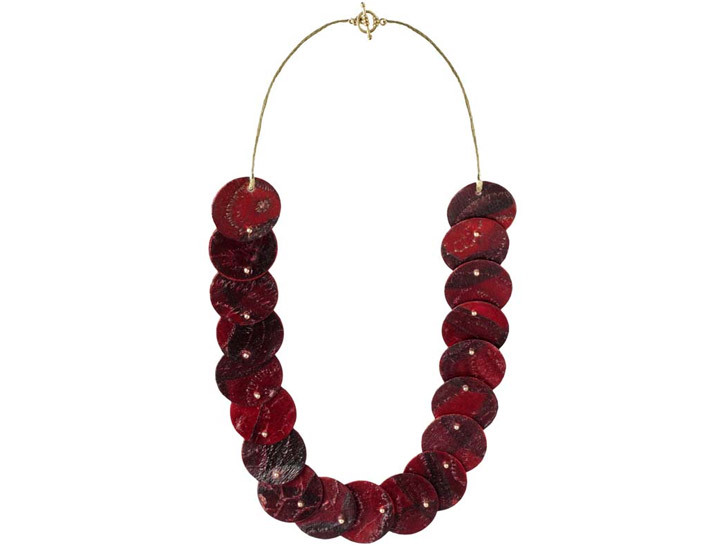 <p /> Necklace <a href="http://www.uncommongoods.com/product/fruit-vegetable-parchment-necklace">made with beets</a> ($99). 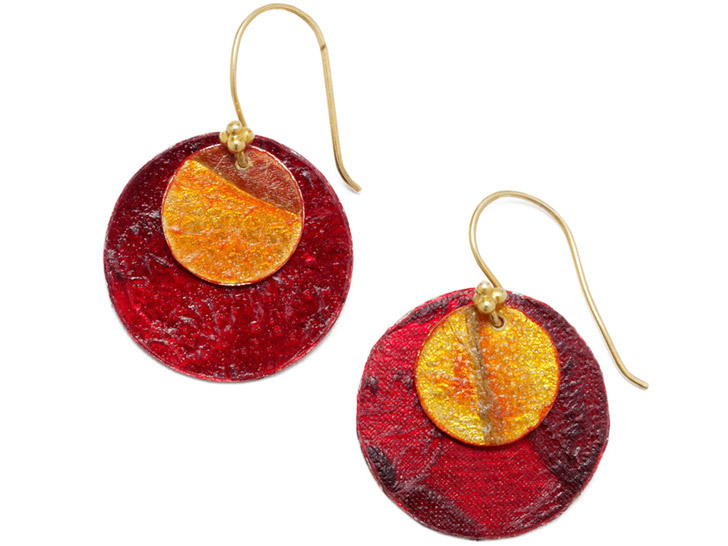 <p /> Earrings derived from <a href="http://www.uncommongoods.com/product/vegetable-parchment-earrings">beets and papaya</a> ($44). 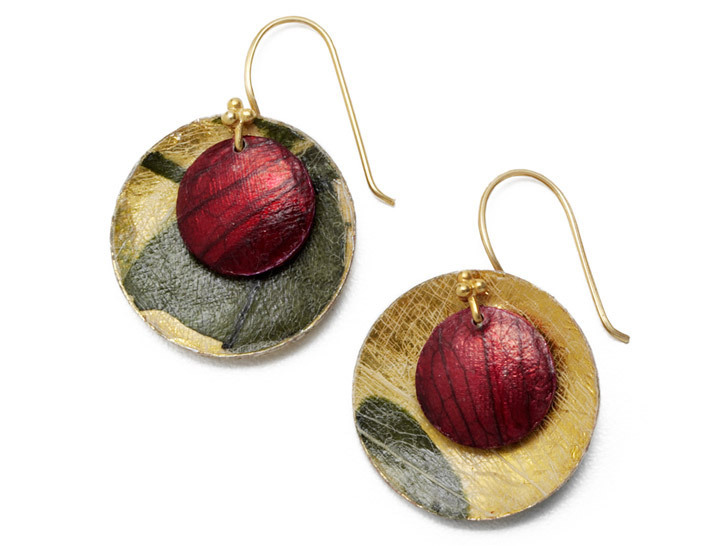 <p /> Earrings made with <a href="http://www.uncommongoods.com/product/vegetable-parchment-earrings">zucchini and red onions</a> ($44).